When composing documents in word processors such as Microsoft Word, searching and editing the text is easy and straightforward. The main idea behind editable file formats is the end-user ability to format and edit text with minimum effort. However, we often store and share documents in non-editable and image formats like scanned PDF. A friend recently asked me how to find the specific word in the PDF he made by scanning a number of pages from the textbook. Having helped my friend, I decided to also write a post on this topic as I think it will be helpful for everyone dealing with lengthy research papers, business reports, or personal documents. 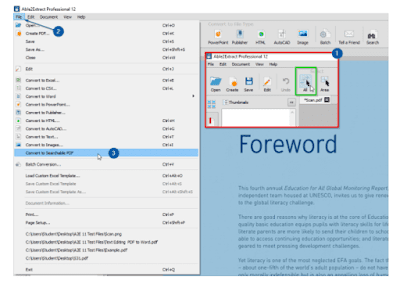 The first thing you should know about PDFs is that they are not editable by default: you can’t change the PDF content with your regular PDF reader. On the other hand, PDFs popularity for sharing and archiving comes from the fact that they retain the intended layout on every platform and device. The second important thing to notice in this real-life example is that PDF in question is a scanned one. That means it’s basically an image of text saved in Portable Document Format. To manipulate scanned or image PDFs, one needs an OCR PDF converter software such as Able2Extract Professional. 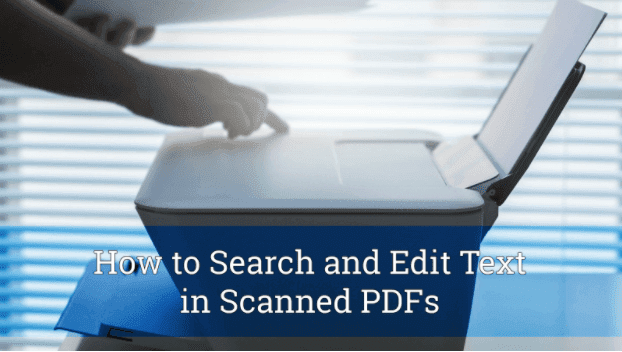 So, here is a straightforward how-to guide to searching and editing text of scanned PDF files. Step 1: Open the PDF. 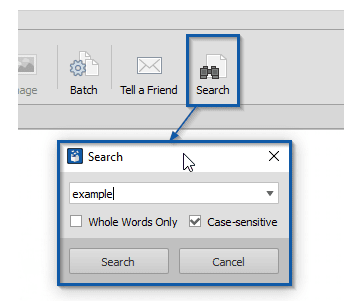 To do so in Able2Extract Pro 12, click the Open icon, which is the first one in the main toolbar, and select the scanned document. Step 2: Convert to Searchable PDF. First, select an area for conversion--to convert the whole document click All under Select option in the main toolbar. Go to File menu and select Convert to Searchable PDF. Once you have your image PDF converted to a searchable PDF with the help of Optical Character Recognition engine, you can search it just like a regular PDF or Word document. Click on the Search icon which is the last one in the main toolbar and type in the search term. 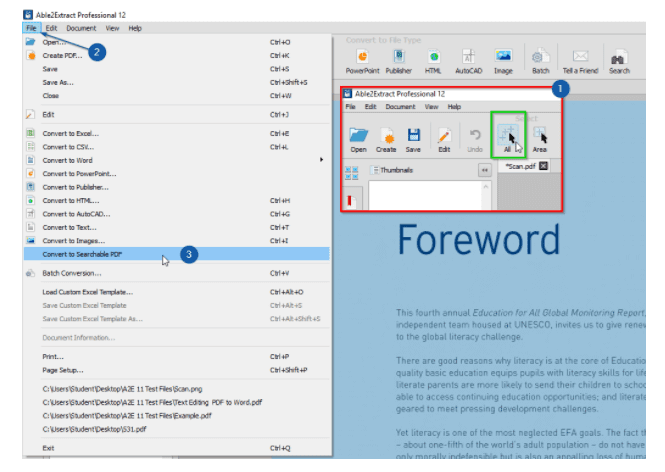 If you would like to edit the text in Able2Extract, switch to edit mode by clicking the Edit icon in the main toolbar. The term you searched for will be highlighted, and you can just click on it and start typing. When you’re done with the changes, save the document on your hard drive. So that is how to make use of text locked in an image PDF. Hope this quick guide helps you as it helped my friend.